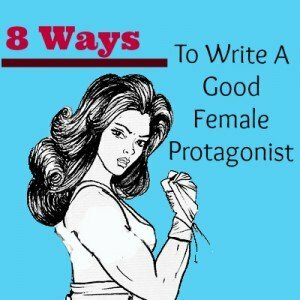 The list of ways to write a good female protagonist is endless, but here are eight tips I’d like to share with you. 1. She should be decisive. Your female protagonist should be decisive, but not to the point where she is never uncertain. If she has to make a decision, give her legitimate reasons for choosing between the two options. 2. If she’s going to save the world, make her worthy of it. You don’t want a whining, unappreciative protagonist who has no guts, no brains, and just uses “raw power” to save the world. Someone like that can’t possibly be destined to save the world. It’s not realistic. You need someone who’s smart, powerful, brave, and who understands the gravity of what she needs to do. 3. She must have fears, and she must have flaws. Fears can be flaws, but not all fears are flaws. For example, the fear of losing your family can be a flaw if you are unwilling to let go of your family in order to save the whole world. Usually, the protagonist finds a way to save both the world and their loved ones, but I find that to be rather cliché. She cannot be a Mary Sue, a perfect character. She needs to have realistic flaws. And, as said above, a fear does not always count as a flaw. Flaws can be traits like arrogance, hotheadedness, or selfishness. 4. She must change, for better or for worse. Your main characters must have a thing called an arc. They must change. The change doesn’t necessarily have to be a good change, but because she is your heroine, that generally means she is going to change for the better. 5. There has to be a reason for her to be the protagonist. If she is better off as a side character, make her one. Her relation to the plot must be essential. To make her the protagonist, she has to be the protagonist. 6. She must have real problems. People rarely have just one problem. Make her have some family problems, maybe an ongoing argument with her best friend, or maybe a lack of food in her house. Several problems are okay as long as you don’t go overboard. Each must have some relevance to the plot. 7. She doesn’t have to be likeable, just understandable or relatable. She can be a selfish pig—aren’t we all sometimes?—but she must have a reason for being a selfish pig. She must do things that your readers can relate to. Usually, if someone starts out being unlikeable, they start to be more and more likeable as the story progresses. This can mean they have a physical change in heart, or you just write the character to be more likeable. This is vital. She must grow in strength, in understanding, in personality. She must grow to love the boy of her dreams. She must grow to be worthy of saving the world. She must grow as a character to be a strong, memorable protagonist. Above all, remember that not all great and famous protagonists follow these rules. Feel free to break them. Write your female protagonist the way you want to write her. I’m starting a novel with a female protagonist, and it’s basically about how she gets caught up in a pick-pocket gang while she’s a tourist in Paris, and she has to undercover conspiracies and secrets while she’s there. Do you think it would be confusing for a reader to identify with my protagonist if she acts different ways around different people (it’s really important to the plot that this happens) or do you think that they’ll understand and not think that I’m straying from her character? Hi Grace. Readers are very smart. Assuming the prose and story line are clear, they should have no problem following your character when she goes undercover. I am a young Adult, that is writing a fiction Novel, it’s series starts with eight main characters, and the books tell the story from two of the main character’s perspective, the first book, which i am currently working on, is telling it from a boy and his sister’s point of view, however, i am struggling on writing from his sister’s point of view. this page helped me a little though. This write-up was really helpful! I guess writers need the help to make a strong female protagonist because it seems like most books have male leads. There are times when the protagonist is actually the female, but writers tend to shift it to the hero. This article really tries to set that straight. What’s more: it was for Women’s Day! Loved it! Don’t these rules sort of apply to all protagonists? Why put an emphasis on females? Good point, Seb. This piece fits with the theme of International Women’s Day which was on March 8th. Oh, I see! Very cool.